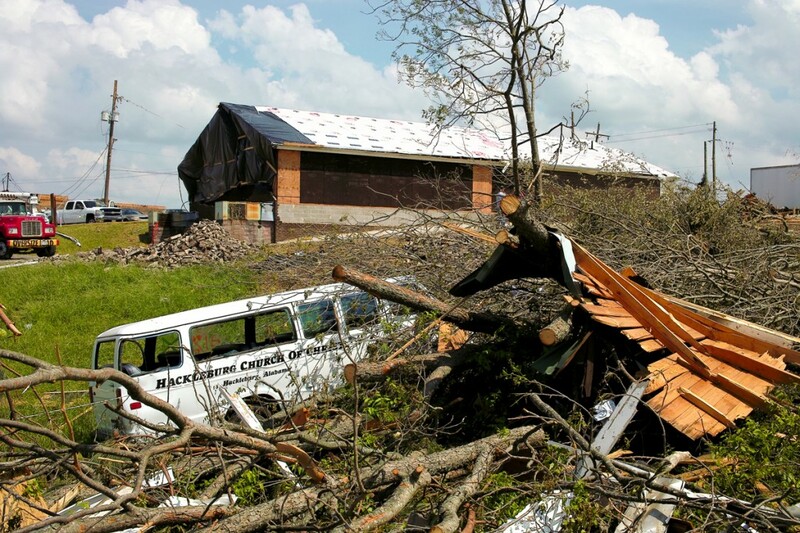 ‘Dear Lord,’ please help us: In tornado-ravaged South, stories of hope emerge as churches, ministries launch disaster relief efforts (with Jeremy D. Smith, reporting from Tuscaloosa, Ala.). Page 1 lead. TUSCALOOSA, Ala. – Moments before a tornado wiped out the Central Church of Christ building, six students huddled in a small cinderblock closet at the church. Carl Naylor started to pray, but he managed just two words before the twister came. The students — all active with the Tide 4 Christ campus ministry — couldn’t hear anything as the storm drowned out the heavenly plea of Naylor, whose home congregation is the Forrest Park Church of Christ in Valdosta, Ga.
After about 15 to 20 seconds, the noise quieted. Walk in the cemetery provides odd comfort (column from Cedar Grove, Tenn.). Inside Story. Universities face pressure over gay, lesbian students. Second Front. LTC, L2L and lots of blessings. Editorial.